This outfit incorporates four of my favorite things for fall. 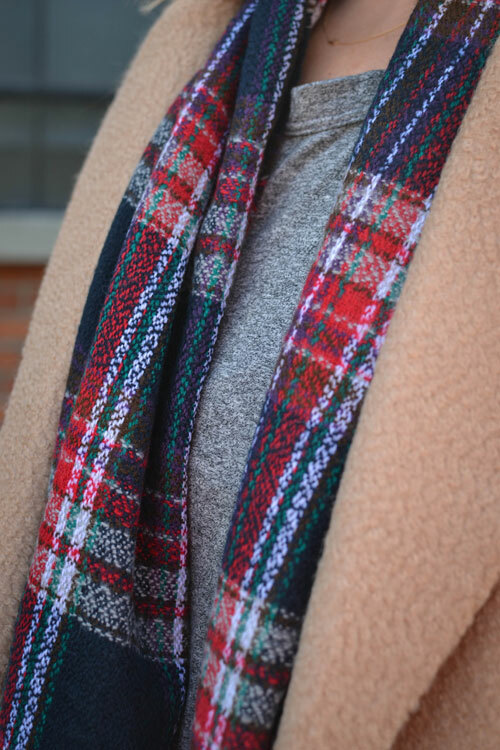 A camel coat, plaid scarf, jeans and sneakers. Remember my long camel coat from this post? I love it so much that I couldn't resist getting this shorter version. Besides, you can never have too much of a good thing. Always looking so cool and stylish! love this look! love the sneakers combined with the camel coat! Love that coat! Can't believe it's from F21. Looks very expensive and luxurious. Thanks for sharing, Audrey! Love the coat and the price! What size are you wearing? I am going to order it! Thanks for sharing. Hi There, it's a great coat. I'm waring a small. Thank you, I ordered it from your link! Have a great day and keep sharing your great style!